With some books I develop an instant affinity. I need only see the cover art to realize that it is ‘my sort’ of book. With others, I read the synopsis, and then I think to myself, ‘that sounds lovely.’ Still more books, not quite so lucky, get pushed to the outer reaches of my mind and may never be found again unless I’m vigorously prodded out of my current way of thinking. To give you an idea of what insta-love Cecelia Bedelia-style looks like, please see Exhibit A: Sarah Prineas’ Winterling. Fer feels an instant attachment to this realm, where magic is real and oaths forge bonds stronger than iron. But a powerful huntress named the Mor rules here, and Fer can sense that the land is perilously out of balance. Fer must unlock the secrets about the parents she never knew and claim her true place before the worlds on both sides of the Way descend into endless winter. Sarah Prineas captivates in this fantasy-adventure about a girl who must find within herself the power to set right a terrible evil. Since I knew that I’d love this book, I asked for Winterling for Christmas (and got it). I should start off by saying that it fully lived up to my expectations. This is an ADVENTURE, all-caps. It’s fairyland and winter and magic and mystery and finding a way to fix the world while remaining true to right and good. Fer is a misfit, and she knows it. She’s also an orphan, and is somewhat content living with her grandmother until she discovers that another world lies just beyond our own. When she visits that land and finds even more mysteries, nothing will stop her until she’s unraveled it all and done her part to help the wounded and hurting. 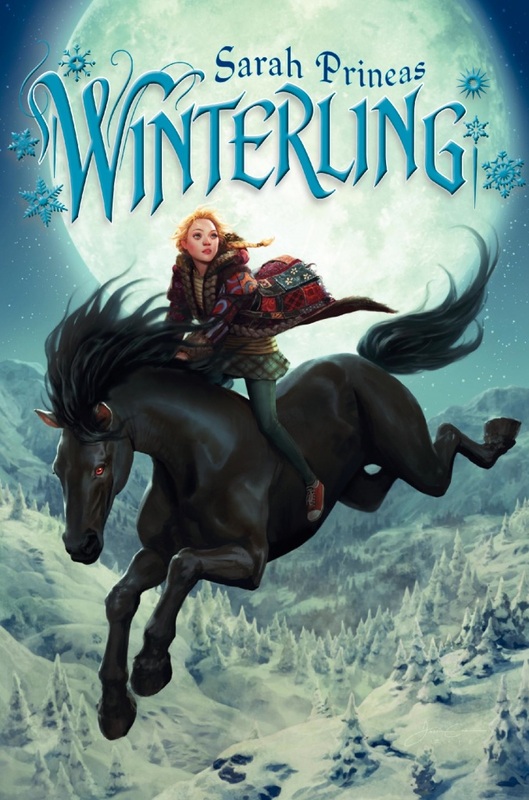 Though it is very much a middle grade book as far as content goes, Winterling is an engrossing and excellent fantasy. It reminded me of Emma Bull's War for the Oaks, if that makes any sense. The complexity of Winterling’s magical creatures is part of the reason that it is so engaging – they’re never quite what you’d think (and thus, quite fey). Prineas’ world-building is also top-notch, and her characterization of Fer, her fearful grandmother and the denizens of the other world are outstanding. I’ll look forward to more of Fer, Rook, and further adventures in other lands the next in this series. Recommended for: fans of C.S. Lewis’ The Lion, the Witch, and the Wardrobe and Ellen Potter’s The Humming Room, those who like middle grade and fantasy (all ages), and anyone who enjoys a brave, feisty hero(ine) who doesn’t hesitate to do what’s right, no matter how hard or how high the cost. This sounds great. Awesome review doll! Oh, I loved Fer and her bravery and her grandmother. And the adventure. And the worldbuilding. And, I totally know how that sort of affinity feels. sounds awesome! and i think the cover looks amazing! Katie: I hope it lives up to your expectations! And I think you'll really love The Humming Room, too!